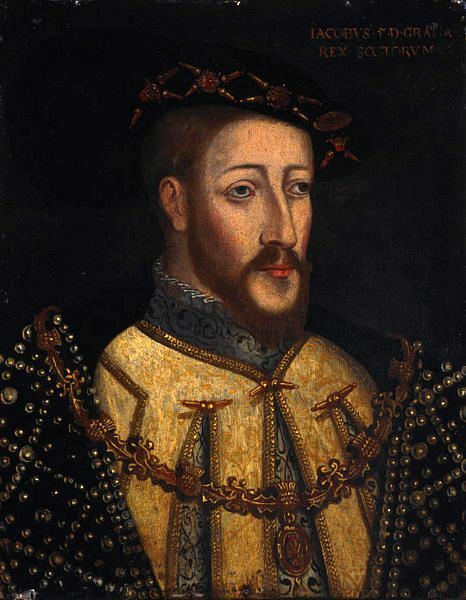 The Battle of Solway Moss took place about six miles north-east of Carlisle between the English army of Henry VII and the Scottish army of James V (pictured here). Henry wasn’t keen on his nephew’s alliance with the French for one thing or his failure to become Protestant for another. The Duke of Norfolk was commanded north where he made himself really popular by burning Roxburgh and Kelso. Foiled by lack of supplies and enraged Scots, Norfolk fell back but James V couldn’t get his nobles to fight the English because they were fairly grumpy about the French element of the equation as well. James raised another army with a bit more loyalty to him and set off to wreak vengeance on the English – certainly on the English West March and hopefully out of reach of the Duke of Norfolk. The Deputy Warden of the English West March at that time was Sir Thomas Wharton who found himself facing approximately 10,000 Scots, though Edward Hall’s Chronicle says there were 15,000 of them. They’d kicked the party off by setting fire to property on the English side of the border. Wharton probably had mixed feelings about that as the area around Arthuret was a predominantly Graham stronghold- not a surname known for its law-abiding tendencies- and in addition he only had 3,000 men. However, on the 24 November 1542 according to Hall again Wharton took on the Scots and left them “wonderfully dismayed, either thinking that the Duke of Norfolk, had been come to the West Marches.” For whatever reason the Scots fled leaving twenty-four guns behind and several wealthy prisoners to be ransomed off. Wharton also commented on the confusion of the Scots. Apart from the confusion about the size of the English army and who might be commanding it there was the small matter of the Scots themselves – they were being commanded by Sir Oliver Sinclair who was one of James’ favourites. The Scots really didn’t have any heart for fighting, or so it would appear. In addition there was the fact, that as the name suggests Solway Moss is a marshy boggy terrain and the Scots deserted their horses in order to gain safety. The effect of this battle, which all things considered, was quite a small one, resulted in James V dying within the month after a decline. He left an infant daughter on the throne. What followed next has become known in history as the ‘Rough Wooing’. Sir Thomas Wharton was rewarded with a title. He became the First Baron Wharton and carried on with business as normal including a raid on Jedburgh.